Promoting your app might be one of the hardest parts of creating an app. Before you do this, you have to ask yourself who is your target audience, why should someone download your app, and what does your app do those others apps doesn’t. Since Android is the biggest app market, making a difference requires extensive efforts and sanguine techniques. If you want to stand out in the market without paying anything, you need to invest a lot of efforts and time to promote the Android app. Customer service is the key. It not only retains your loyal customers but also brings in new customers because it just enhances your overall reputation and the experience of your app. Also, bad customer service turns away people from using your app and dissuades current customers to leave your platform. There are tons of blogs, websites, YouTube Channels, social media pages, etc., that just review the app and give out awards at the end of the year or the end of the quarter. You should find those websites and let them know about your app-what it is and what it does-and apply for the awards they are giving out. This will give humongous exposure to your Android app as people are constantly looking for top apps on these platforms. Influencers can play a major role in promoting an Android app. Let’s say, you have designed a certain app for a particular industry, and a famous blogger talk about that industry; that is what his/her blog is about. You should reach out to such bloggers, and let them know about your app as well as offer them a deal like free app download or some amount in exchange for a review. Contests are an amazing way to get people involved and engage with your brand or your app. What you can do is set a certain milestone that your users should reach by using a particular hashtag or another method. Once they complete, you reward them a free purchase of any product or service available on your app. This gets you a lot of publicity as your app gets maximum shares to reach the milestones of the contests. Pretty much every single app on the Android store, integrate with social media for their customers so they can share their high-score, extra points, or any other accomplishments on the social media, including Facebook, Twitter, Instagram, etc. It is a great way to get free publicity and promotion of your app by using a WhatsApp marketing. By enabling your users to share what they are doing on your platform is an ideal way to get your name out there. For the holidays coming up, you can offer a certain percentage of discounts to your users for a particular day. Also, when you are just launching your Android app, you can give a discount for first-week. It allows you to build up the press, build up the hype, and you get benefitted by the serendipity of your offer. It is one page where the content goes on the entire page, informing your users about what the app is and how to get started with it. It is more like an alleviator page, which should include appealing aesthetics. Also, add a video on this page to simply the direction to use your app. Now, who would have thought SEO in-app promotions hitherto this post! Identify “best-targeted” keywords, which work best for your app, and analyze the keywords your app is currently ranking on. Using both the analytics you can create quality links to your app to boost ranking. Joining social media groups and communities is an ideal way to promote your Android app, and grow its visibility, especially on LinkedIn, Facebook and Google+. Ask the feedback from developers on your app, and offer them a discount in return. It can help you build great relationships which might present you an opportunity to cross-promote the apps of other developers. ASO is vital for the Android platform. Similar to other search engine optimization, Google’s Play Store focuses on the keywords users in the app, their density and searches relevance. 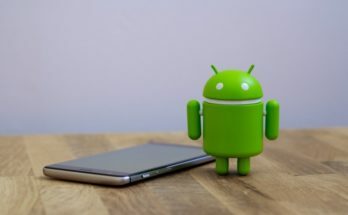 With almost every second Android users find apps via searches, the description of your app plays a prominent role on which you need to focus on your efforts on marketing your Android app. In the end, it is all about the quality and inclusiveness of your app, which will help you have a grasp on the audience. 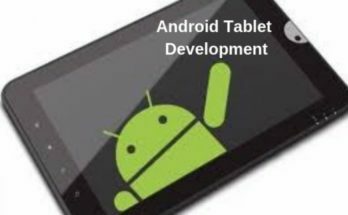 Though Android app development services can do only a bit to promote apps, the above few tips can certainly make a difference in the number of downloads. If you have something to share about promoting your Android app, let us know in the comments. Jennifer Ruth is a prolific mobile app developer working with a HireMobileGeeks in the New Jersey, USA. 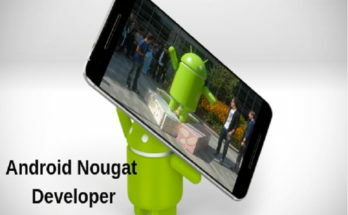 She likes to write a informative post on android application development services, operating system, mobile marketing, etc., You can follow her on Facebook to get instant updates.